Maria Miller is a homeschool mom and creator of the curriculum, Math Mammoth. Here is a transcript of my interview with Maria, in which she shares her opinions about homeschool math instruction and the state of mathematics education in our society. Tell me a little bit about your background and experience with math and math instruction. I majored in math with a minor in physics and statistics, including the teacher credential studies. I started teaching math during my 3rd year in the university, helping with the homework sessions with some undergraduate math courses. We had to take one full year of educational studies, and during that year I started my interest in the elementary mathematics. One of the required things was to listen to a certain amount of classes in normal schools, and I did quite a bit of that in 3rd or 4th or 5th grade classes. About 1/2 year before I graduated, I was offered by the uni to lecture undergraduate math courses there and also simultaneously got a job teaching math and physics courses in a local nursing school. I took those and kept with them after I graduate so I didn't actually get to go to be a school teacher. But at that point I was also considering a research career in mathematics education and obtaining a post-grad degree. My personal life then took a sudden turn with a move and marriage. I started tutoring children around me, many of them homeschooled. From that experience stemmed the idea of starting to write math books. Yes. I have a 6-year old and a 3-year old. Why do you enjoy math? Why do so many families encounter frustration when working with numbers? The basic reasons have to do with how the parents understood math as students, how it was taught to them, and what attitudes towards math their teachers and peers conveyed to them. In the USA, it is acceptable to be math-illiterate, and confess (as an adult) that one doesn't know math at all. It's commonplace for people to comment how little they know about math, or how they hate it, etc. But if math is taught as a logical system so that all kids are allowed to understand the basic math, and if the general culture values mathematics and related skills, this won't happen. Typically from testing situations: a student has had a bad past experience (or many) with testing in math. The pressure of timed tests and risk of public embarrassment are the main factors. How can children and/or their parents overcome math anxiety? In a homeschool this shouldn't be a big problem because the causes generally have to do with how math instruction is done in a classroom. But in general, creating a less pressured learning environment helps. Check also this excellent article: Coping with Math Anxiety. Are you an advocate of timed testing as an assessment of math skills? For assessment purposes it is fine to use timed testing on math facts only, to check for quick recall of such. In general, I wouldn't put strict time limits on math tests that are not on math facts. See also Timed Drill for Math Facts?,which does not talk about assessment, but about daily drills. What is your advice to parents who have difficulty teaching math? Find materials that help the parent learn it at the same time as the student is learning. How can parents help students who are struggling with math? This is really a generic question. There are many ways. I'd usually recommend assessment/testing the student first, so as to find out which concepts or knowledge areas the student might lack. Then one has to find materials to fill in those gaps and make a "recovery plan". I've written about this process in more detail at How to Help a Student who is Behind in Math. What advice do you have for parents who are teaching children with learning disabilities? Reach out to others with similar learning disability for resources and tips, and always remember you know your child best. How can parents of gifted children continue to meet the needs of children who have surpassed the parents' level of mathematical ability? There are many ways. Many community colleges accept younger students into their math classes. There are websites for gifted children such as Art of Problem Solving and Math Circles. Local homeschool co-ops may have math classes or clubs. Or parents can hire a tutor. What can parents do to give their children a strong foundation in math? They need to show a positive attitude towards math and numbers themselves. Attitudes are contagious! This is so very important. Then, they can choose good materials that fit the child's learning style. Parents should be sensitive to "math woes" in the family and reach out, if need be, because often one can correct those by using a different curriculum or materials. How can parents prepare their children for advanced math courses? Basically the student simply needs to have a good understanding of all math up to that advanced math course (such as calculus). And have a willing attitude to learn math. What are the essential components of math instruction? A good teacher, pencil, and paper. A willing student. Good curriculum or other materials (such as math readers) come next in importance. Often, people have to make do without a good math teacher, and then the curriculum has to somewhat step into the role of the teacher, and it becomes more crucial to choose the curriculum well. What should parents look for in a math curriculum? They should check if the curriculum teaches conceptual understanding, or if it favors "recipe math", in other words spelling out the rules of "how" to do it, but being skimpy on the explanations of "why". does the child get distracted by colors and pictures OR will it make it more pleasant and interesting to the child? does the child need lots of white space, big writing space, or can the child write in smaller space? how much teacher involvement does the curriculum require, and how much time can you devote to daily teaching? are there additional costs such as manipulatives, and can you afford those? etc. Why did you create Math Mammoth? Actually I didn't just start with it. 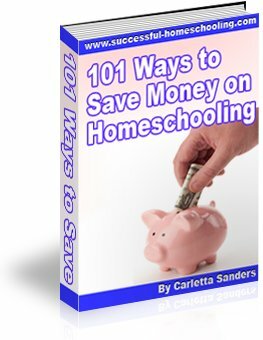 I started just by writing ebooks on one topic such as addition or subtraction or geometry or fractions and sold them on my www.homeschoolmath.net site. The need for a "brand" or a name came later. I started writing the original books because I had been tutoring some homeschooled kids, and I saw tremendous lacks in the materials they were using. I also realized those moms did not have the understanding to explain math to their kids in such a way as to promote conceptual understanding. What did you see lacking in the materials? They were very much focused on showing HOW to do problems, then giving a few examples, and lots of practice problems. They did not show WHY something worked, or what the rules were based on. One material (I remember being flabbergasted at this) had a glaring mathematical error in the definition of an altitude in a triangle. When I first saw a Saxon math book, I would shake my head in disbelief - but for a different reason now. I couldn't fathom the way the material was organized, it was just SO different from the math textbooks I was used to. Seeing those materials (four different homeschool programs) actually deeply disturbed me back at that time. How is Math Mammoth different from other programs? One important feature is that it's downloadable. This allows customers to get it quickly, and to print the same pages to multiple children, which makes it the one of the most affordable curricula around. I strongly emphasize conceptual understanding in the lessons but still also incorporate lots of practice exercise for calculations. I tie concepts together in ways that other curricula don't always do. I've designed the scope of each grade so as to avoid the "mile wide inch deep" syndrome that some curricula suffer from. Now, of course Math Mammoth shares some features with some other programs while being different from others. For example, Math Mammoth doesn't have lots of distracting graphics but that's nothing unique. Maria has a wonderful collection of articles, worksheets and games on her website, Homeschool Math, where she also sells her Math Mammoth work texts and e-books. She also shares ideas for teaching math on her Homeschool Math Blog. Here are my tips for choosing a homeschool math curriculum, as well as a collection of math curriculum reviews from fellow homeschoolers.